On Monday we had a very exciting delivery to Orange and Green class. We discovered a magical sword stuck in a stone in our playground! Mrs Revans arrived with a mysterious letter from a Knight called Arthur. We have spent this week thinking about the story of the Sword in the Stone, and learning about Knights. On Thursday we did an experiment to see which material would be best to make a shield. This was lots of fun. We went outside to see which of our materials were waterproof, flexible and not too heavy! The children had some fantastic ideas about which material would be suitable, and it was interesting to test them out. We discovered that paper was perhaps not the best material for a suit of armour! 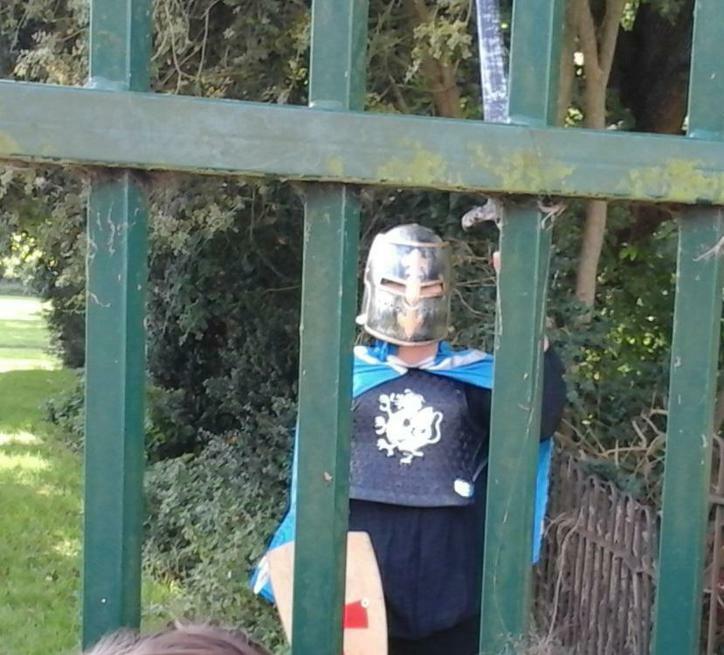 Today we have a surprise visit from the Knight! 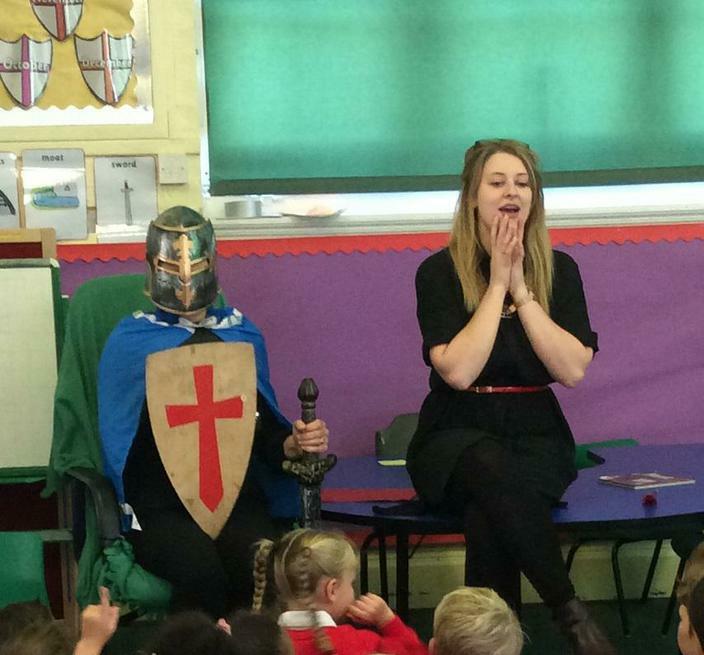 He was the friendliest Knight in the world, and came in to answer some of our questions. He was a little bit shy though, and couldn't stay for long as he had lots of brave adventures to complete! 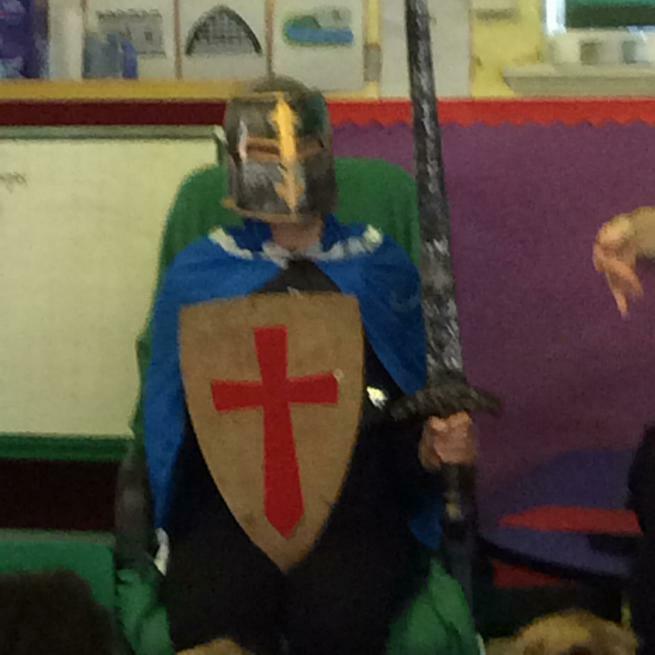 We enjoyed looking at his armour, sword and shield, and remembered lots of the things we have been learning about. We had a lovely day, and hope to see the friendly Knight again soon!